Sherab Senge (Tib.ཤེས་རབ་སེངྒེ་, Wyl. 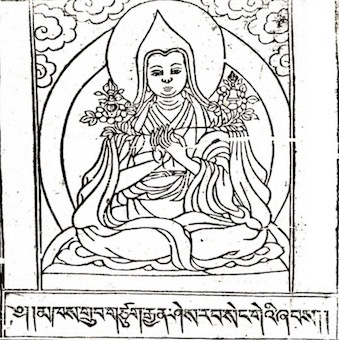 shes rab seng+ge) (1383-1445) — a student of Jé Tsongkhapa who founded Gyümé Monastery. According to legend, Jé Tsongkhapa after giving a Guhyasamaja commentary asked who among the participants would take care of his tantric teachings. When none dared to take this task, Sherab Senge stod up, prostrated and said he would do it. This page was last edited on 30 May 2018, at 22:55.